Short stories hardly seem to get a look in. I’m such a fan though and love to read them before bed, in a half hour tea slot or even while waiting for a bus (or 2). And, besides, they’re really difficult to craft. I had a go once with a brilliant writing teacher but ended up throwing all my toys out of the pram when I realised just how tricky they are. The good news – for short story lovers – is that they are having a little resurgence. 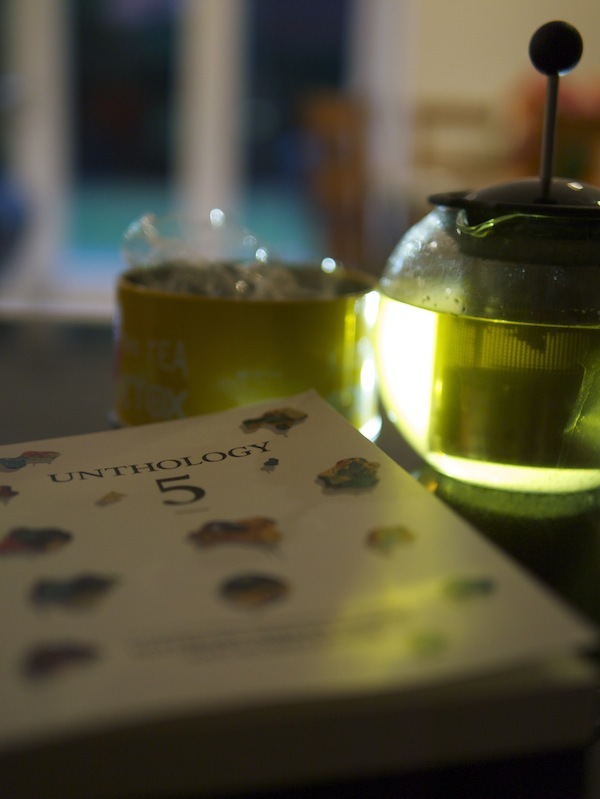 And, if you’re a fan of the form, you’d love Unthology 5. The most recent collection to be published by Unthank Books, this immersive and inspiring anthology from new and established writers has been edited (once again) by Ashley Stokes and Robin Jones. Dealing with outcasts, thoughts you shouldn’t dare to think and some pretty strange secrets, these stories are quite brilliant. Probably my favourites were A Little More Prayer by Angela Readman and 79 Green Gables by John D Rutter but, until I was sent a review copy, I had never even heard of this Unthology series … so my plan is to now read all the previous collections. If you too were completely unaware of the Unthology series, you might want to LIKE my Life of Yablon Facebook page before the end of the month. 5 of you will be chosen (at random) to win the copies I have sitting on my desk. Meanwhile, do let me know if you’ve ever managed to pen a short?